Earlier this summer, the EU harshly criticized Warsaw, initiating a new case over Poland’s 2017 judicial reforms. The legislation lowered the retirement age of Supreme Court judges from 70 to 65, thus forcing 27 out of 72 judges to retire. According to Brussels, the changes will violate judicial independence in the country. 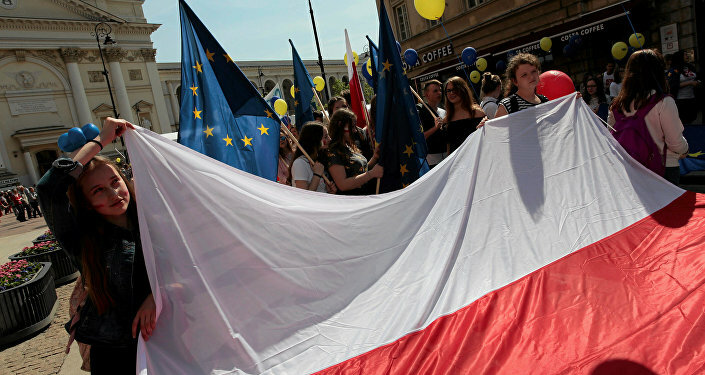 On Tuesday the European Union took the next step in the legal action against Poland, giving Warsaw one month to comply with the EU laws. "The response of the Polish authorities does not alleviate the Commission's legal concerns," said the European Commission, which launched so-called infringement proceedings against Warsaw on July 2. The European Commission, earlier in 2017, proposed invoking Article 7 of the Lisbon Treaty over the controversial judiciary legislation, preparing sanctions against the country and suspending some of its rights as an EU member. The Polish legislation not only changed the retirement age, but also gave the minister of justice the power to prolong the mandate of judges who have reached retirement age, to dismiss and appoint court presidents and exert influence on individual judges through "vague criteria." According to the EU, the reform threatens the independence of the judiciary, giving the government too much power on the matter.